For over 228 years, Kentuckians have been renowned for distilling the brown liquors: bourbon and rye whisky. Now it will be known for gorgeous craft vodka! 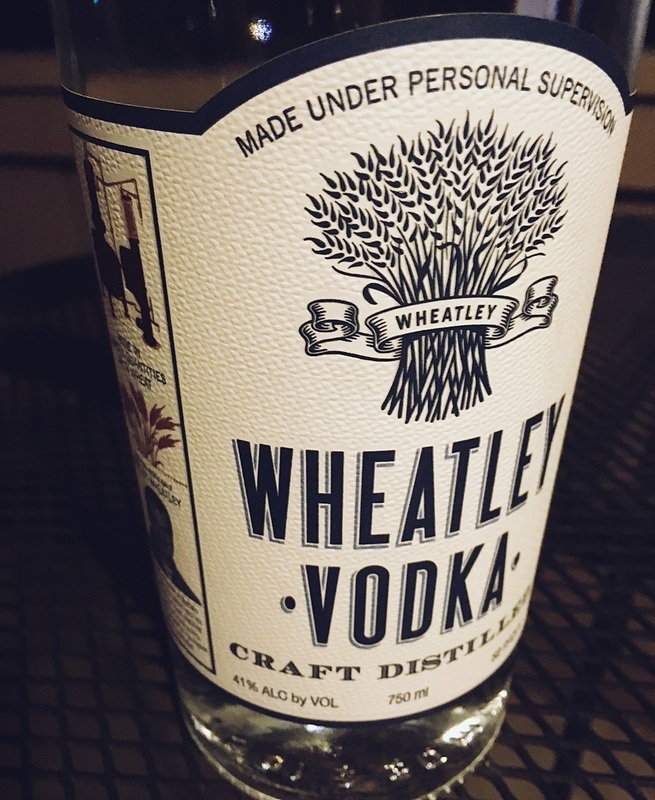 Wheatley vodka is made by the same folks at Buffalo Trace. The Buffalo Trace heritage of distilling runs back 200 years. Their label — as you can see — hints at vintage and heartland things. I was happy to be hosted to experience it! Wheatley is made from a unique blend of wheat and other grains. It’s artisan crafted by Master Distiller Harlen Wheatley. Was he subliminally disposed to use wheat? If so, that’s cute! The vodkas is distilled a total of 10 times and triple filtered. It’s bottled at 82 proof, so it has a kick — but it’s not a kick in the head. I noticed a clean scent with the faintest hint of warm wheat bread notes. I tasted a well-rounded spirit: not harsh or bracing. I detected a faint nut flavor. I also tried it made into a Bloody Mary, actually using a mix created in Kentucky! I enjoyed it very much and so did my sophisticated neighbor, Jacqueline. She knows the good stuff.